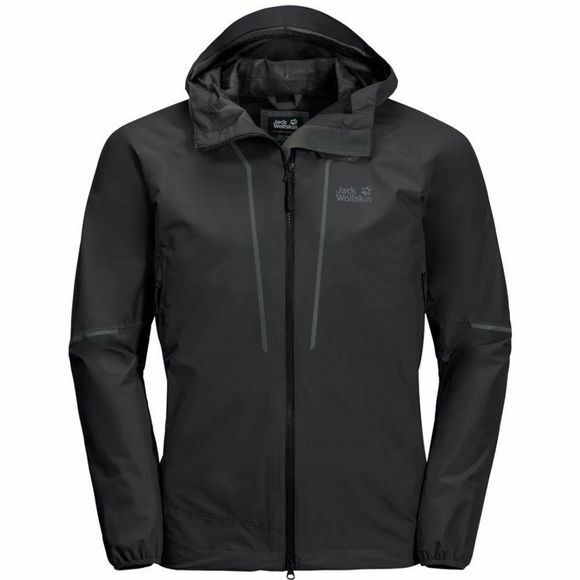 The Mens Sierra Trail Jacket is a super light and packable shell jacket. This is a great piece of kit to have with you when it suddenly starts to rain. It is made of a soft, lightweight recycled fabric that is 100% waterproof and windproof and extremely breathable. The Mens Sierra Trail Jacket is the ideal jacket for energetic outdoor activities in milder weather. It also makes a great everyday jacket. The pit zips are positioned on the back of the arm instead of underneath for improved freedom of movement.